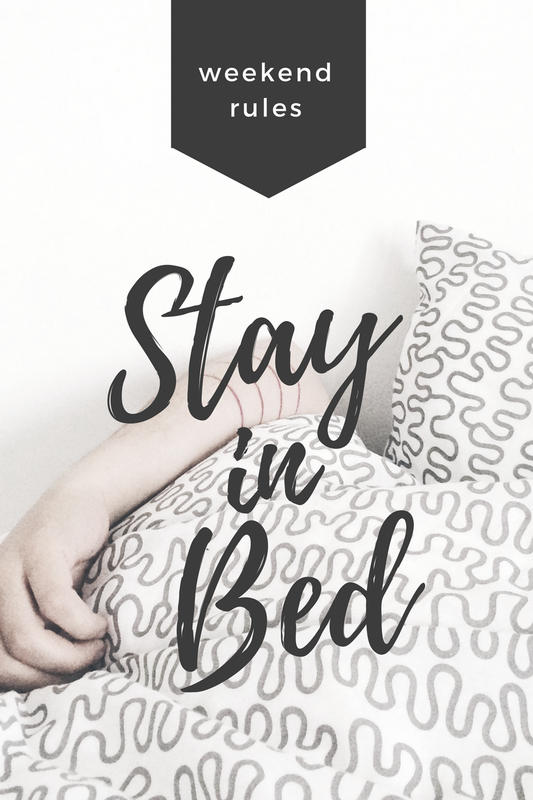 Weekend Blog Hop : Weekend Rules; Stay In Bed!! Wouldn’t it be nice if you could just stay in bed all weekend? Have time to yourself to just catch up on sleep. Children back to school. Early morning ironing. Cleaning the messy house after Christmas. Trying to catch up on washing after a few days off. Running every day. Making food and more food. Walking Mollie twice a day. Walking to the dentist without a big coat or hat on as I get stressed going there and then getting a chill. Making myself poor from not wearing a big coat and hat. Hot and cold fever. Having to go back to the dentist yesterday and have 2 old filling replace. One worse than other causing pain at night. Joining back at a gym. Going spinning. Riding my bike down to the gym. I am just exhausted writing this list!! Now all I want to do is sleep all weekend!! Not that that is going to happen. Up nice and early to walk the dog then catch a train to my son and daughters race!! Want to join us at The Weekend Blog Hop and share your posts? Link up any family friendly posts. Have fun and enjoy yourself it is Friday!? Yeah!! Grab your favourite drink and join us for the blog hop. Links can be on any topic as you would like to share. They can including recipes, crafts, decor, style, household tips, anything that you have been writing about lately. Please follow me your host of this weekend blog hop on at least one social media channel of your choice. All ways to follow can be found on the sidebar above. Feel free to add as many posts of your choice on this fun blog hop. Please try and support your fellow blog hopper by visiting some of the other posts that have linked up to the blog hop too. Makes the blog hop more fun for everyone. 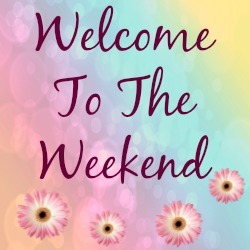 Feel free to tweet me at @clairejustineo your posts links using the #weekendbloghop hashtag in your social media posts. This linky list has now closed. Please stop by and join us again soon. "Passionate Pink Salmon With Avocado Salsa…"
"Apple And Raisin Oatbran Porridge"
The first week back to reality is always the hardest! Thanks Tamar, its like a tester for the following week, isn't it. I bet that is why the children go back for just half a week !? Your week is exhausting me! This week has been rough around here too. So glad it's Friday but I won't be staying in bed all weekend either. Time to take down the Christmas decorations and get a few other things done too! Hi Heather, whoo I did mine the other day too. Funny how it takes forever to put up and you enjoy it but when it comes to taking it down, I do it as quick as possible!! I am with you on this week! Thanks for hosting and have a great weekend! Get some rest and have a wonderful weekend. Thank you for hosting this awesome link up!